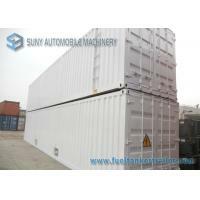 Packaging Details: Ro-ro shipping / Bulk cargo shipping / Container shipping / SKD / CKD / etc. 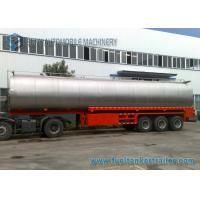 40 cbm 40000L 40000 Liters 10 gallons 45 cbm 45000L 45000 Liters 12 gallons stainless steel milk tank trailer. 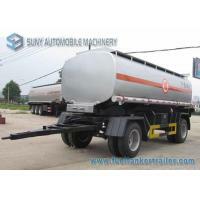 #90 king pin for default stainless steel milk tank trailer. 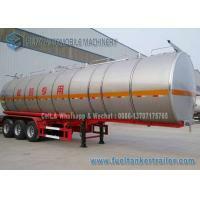 Milk truck is also called milk transport truck, milk transport trailer, milk tanker trailer, milk tanker, milk tank truck, milk tank truck, milk truck tank, liquid food truck, selling food truck, etc. 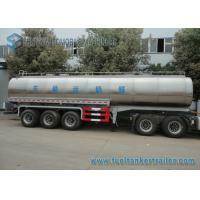 Which is mainly used for load and transport liquid food, milk, water, etc. 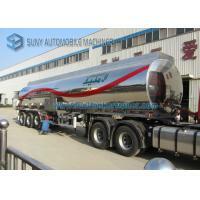 Our milk transport tank use best quality 304-2B edible grade stainless steel to make the body of the tanks, elegant design, stable and durable. All the corners have been well polished, easy to clean. Insulation casing is using polyurethane foamed material ,and has excellent warmth-keeping ability, 2 less temperature rise over 24hrs at room temperature. 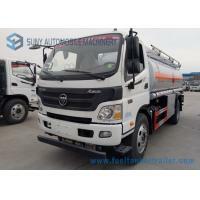 Convenient for transportation and suitable for all kinds of vehicles over rough country. Upper dimension just for reference. 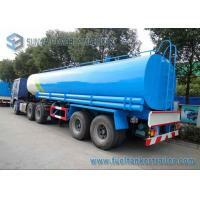 FUWA 3pcs*13 T axles, double wheel. One set of LED standard lamb, nangua brand. All steel parts are sand blasted before painting. Anti-corrosion. All painting are according to customer’s requirement. 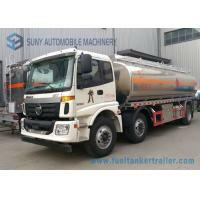 Hubei Suny Automobile And Machinery Co., Ltd is a professional company who deal in different kinds of special vehicles, trailers, construction machinery and airport special associated equipment. It is approved by China Business departments and with the qualification of independent legal person and independent import & export rights. 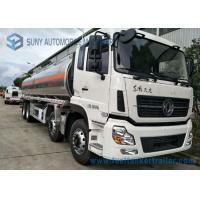 It is the important strategic partner for many famous special vehicle manufacturers in China. The main product achieve to more than 300 types in 20 series. We uphold the tenet----quality first, safety first, attention to details and keep the promise to develop the market domestic and also abroad vigorously. 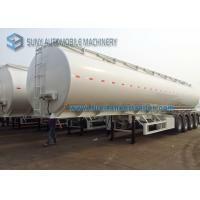 Now the trade scale of the company growing speedily. 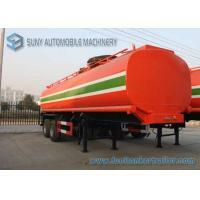 We keep the customers demand as direction and customers satisfactory as target. We got big support and trust from customers all over the world by our quality goods, professional and service and excellent reputation. Meanwhile, we will make more continuous effort on innovation to forge ahead. We treat the technology as the core, the quality as the life, the customer as the god and provide the highest cost-performance product and meticulous pre-sale/after sale service to feedback all the customers. We sincerely hope we can walk with arms linked with you to get eciprocity and mutual benefit together!